Concert stage sizes and heights vary, depending on how big the band is, how much equipment they need and how many people will attend. Here's how to build modular stage elements that meet your specifications. For a large audience, a higher stage will allow a better view of the performers. 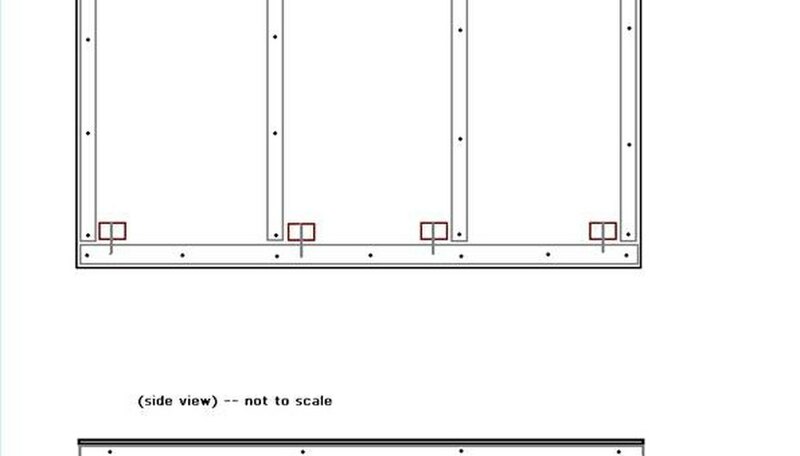 For the purposes of illustration, we'll assume you want a stage that is 32 feet wide, 16 feet deep and 36 inches high. Build your first stage module. 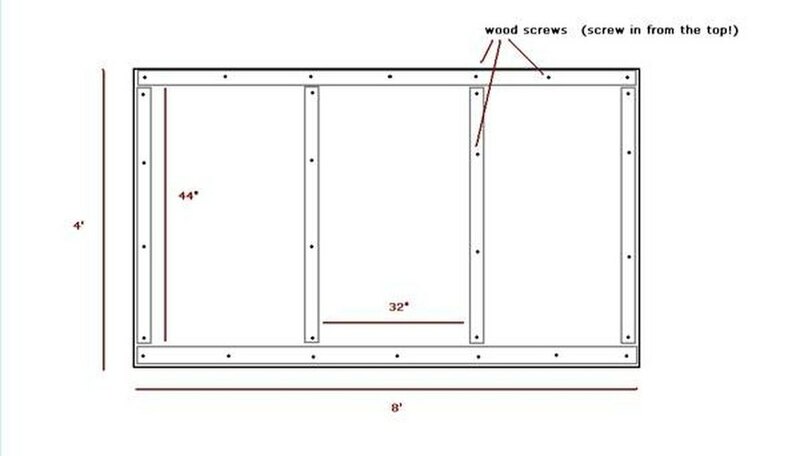 Lay out a piece of 4-by-8 foot plywood and attach 2-by-4 boards to the bottom as illustrated in the diagram. Screw the 2-by-4 boards into the plywood from the top. The top of the plywood is the stage surface, and the bottom --where the 2-by-4 boards are attached--is the sub-floor. The sub-floor provides rigidity and strength to the stage surface. Add legs to the stage module. Cut eight pieces of 36-inch lengths of 2-by-4 boards. Attach each of these to the sub-floor of the stage module with two wood screws. Position them as noted on the diagram. Repeat Steps 2 and 3 as necessary to build enough modules to complete your stage. When the modules are done, simply arrange them into the stage shape and size you decided on. In the case of our example, you'll need 16 modules--see the diagram for an illustration of how they'll be positioned. For variety, build the modules to different heights. For example, the front portion of your stage may be 24 inches high, while the back is 36 inches.